The subject of much controversy in 2001, anthrax is actually mostly non-lethal and contagious only from farm animals. Anthrax spores and bacteria are most often passed on to humans by eating the meat from infected ruminant animals, especially beef and mutton. Anthrax disease has survived centuries and affects numerous people every year. Scientists first began examining Anthrax in patients in 1875, which eventually led to the discovery of the bacteria that causes the disease. To further explain, Anthrax is a bacterial disease found in certain domesticated animals commonly consumed by humans, such as cattle and sheep. It causes skin ulcerations and, in some cases, pneumonia. 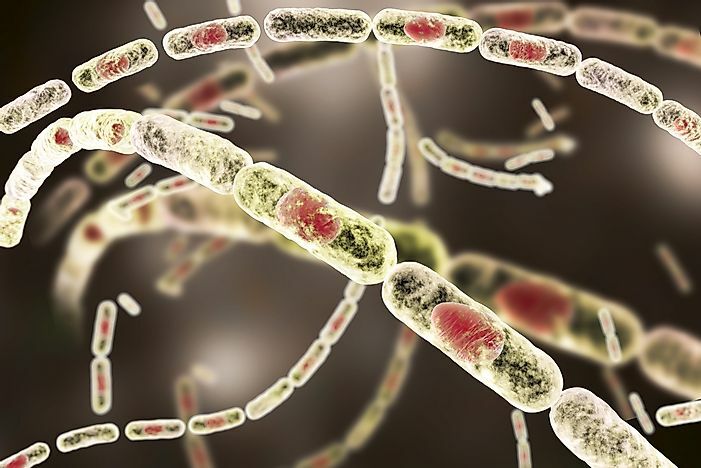 The disease can be transferred to humans, and although hundreds are diagnosed per year, Anthrax only takes an average of 5 lives a year in North America. Anthrax can be transmitted to humans by infected animals, usually from touching the skin or hair, or eating the flesh, of ruminants such as goats, cattle, sheep, and horses. It cannot, however, be spread from human to human. In recent years some unsettling news came out about Anthrax when researchers learned that it could also be spread through biological warfare, which would cause a lot of damage if used. This was unfortunately the case in 2001, when certain key media and political figures in the United States were sent letters containing Anthrax spores, resulting in five deaths and seventeen infections. This caused a great deal of controversy about the safety of the US postal system. Anthrax can cause death, though this isn’t usually likely. Instead, most people infected with the disease suffer from flu-like symptoms, skin ulcers, blood infections, and respiratory problems. If exposed to Anthrax, and a patient's symptoms become severe, it often takes as long as 6 days for a patient to die from complications. The disease was first found in regions of Central and South America, and later throughout parts of Asia and Europe. People still have a higher chance of catching the disease in those regions. The disease is commonly passed through soil in agricultural areas where livestock feed and defecate. There are two types of Anthrax. The first, Cutaneous Anthrax, has a 20% death rate without antibiotics, and a 1% death rate with them. Gastrointestinal Anthrax is a much more severe strain, and has death rates among its sufferers as high as 60%. Most Anthrax patients can be treated with antibiotics such as penicillin, doxycycline, and ciprofloxacin. In the most severe cases, these antibiotics will be transferred into patients via intravenous fluids. Due to the confusing symptoms of Anthrax, many sufferers initially think the disease to be the flu, which causes problems when trying to treat the disease in a timely manner. It becomes very hard to fight off Anthrax if it’s not treated within the first 6 days of being infected. This is because spores become activated within the first 6 days of infection, and, if not treated, can lead to a higher likelihood of death. A vaccine for Anthrax does exist, although it is not necessarily available to the general public. In some instances, the vaccine can be used in emergency situations when a person has been exposed within the last 24 hours. Otherwise, the vaccine is generally unavailable. That being said, animals are vaccinated in an attempt to reduce any chance of the disease becoming dominant. Trained military personnel, certain veterinarians, and farm animal handlers are able to provide the vaccine to animals.